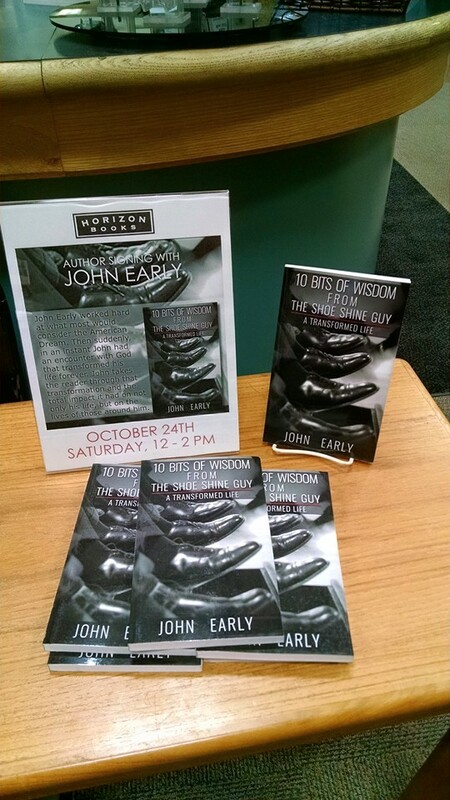 "In Ten Bits of Wisdom from the Shoe Shine Guy - A Transformed Life, John reveals the story of his life with compelling self-reflection, humility, and vulnerability and in so doing, is able to beautifully unveil true wisdom, Godly wisdom. I believe the reader of John's story will be challenged, as I am, to examine their life, its goals and purposes in relation to the wisdom revealed by the Shoe Shine Guy." 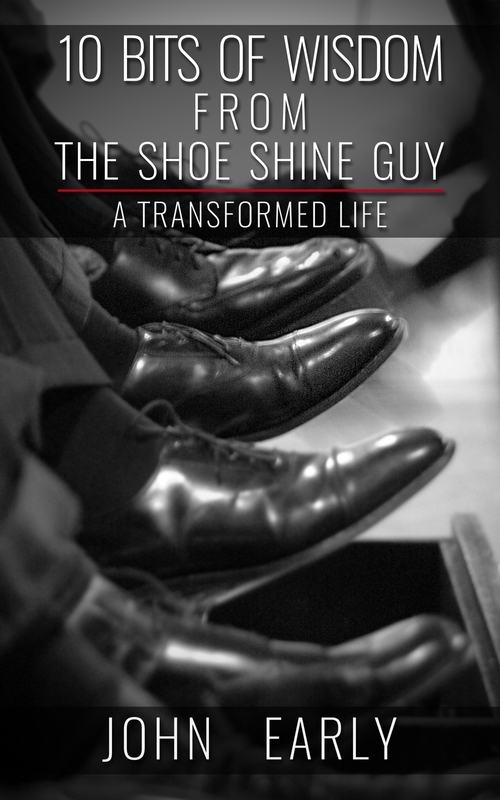 "The journey of service for "The Shoe Shine Guy" is not simply of making black patent leather shoes reflect up, but of showing us how compassion, support, and encouragement are the true elements by which we Serve others each and every day. A shining reminder to act, not simply talk, about our faith." There is great wisdom in story, and you will not be disappointed with this storyteller! Here is a life that has learned the essence of what is important. He has discovered the key lighthouses to guide us on our journey and has generously made them accessible. This book is a tour de force of some of the best thinking for the past 15 years, from business whizzes to masters of spiritual life. John has combined and simmered all of this wisdom, then integrated it into his story that has found not only over-the-top business and financial success, but, more importantly, has discovered the secrets to real and lasting success as a man grounded and centered in god and his relationships with family. This is a wonderful book! John moved to Houston, Texas, in 1980 at the age of 21. He worked in sales for a manufacturer's rep firm selling oil equipment. His sales territory was most of south Texas, driving 4000-5000 miles per month. John had the opportunity to call on customers that were located in remote areas of south Texas as well as the corporate offices of some of the largest oil and gas companies in the world located in Houston, Texas. In 1986, he moved back to Michigan and went to work as a mortgage consultant for a small mortgage company, Tranex Financial, and worked there for 13 years. Starting out as a mortgage consultant, he moved into training then became an officer of the company and eventually bought the firm. In 1998, he merged Tranex into the Hantz Financial Group. He worked with Hantz Financial as a Vice President and financial consultant until December of 2010, focusing on marketing and client relationships. His team assisted high net worth clients with their tax planning, estate planning, investment strategies, and business owner concerns, providing advice to clients who needed sophisticated financial planning. While at Hantz Financial, the company grew from 100 employees to over 500 and John was able to help build one of the largest practices within the firm. In April of 2011 he created The Shoe Shine Guys, a mobile shoe shine service that started with an idea, one truck, and a handful of clients. He now has three vehicles, a full-service cobbler store and hundreds of clients. His company continues to add new clients every month and receive calls at least once a quarter about expanding to other parts of the country. John and his wife of 33 years, Janet, have two grown children, John Shay and Jennifer; one son-in-law, Mike; and one rambunctious and adorable grandson, Lucian. A sports enthusiast, John was an avid handball player for over 20 years ( a new titanium knee and work have sidelined him for awhile) and was the Canadian national doubles champion in 1999. 10 Bits of Wisdom is being released throughout Europe, Wales, Scotland, Northern Ireland, Isle of Man, and the Channel Islands as of April 2016! 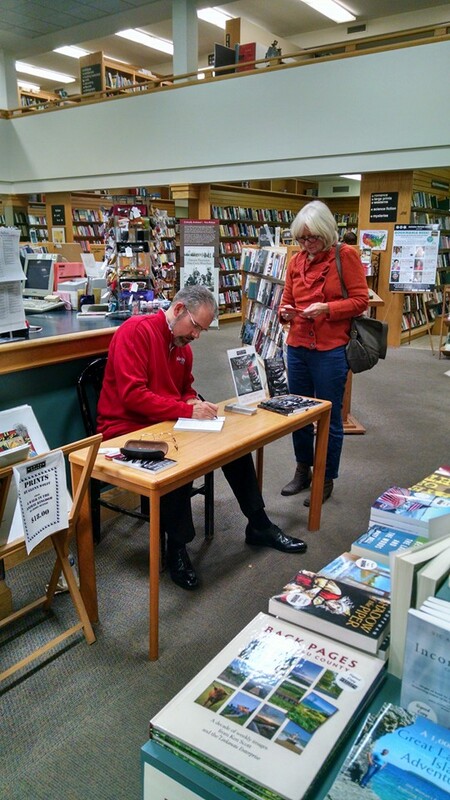 I just wanted to extend my personal thank you to John for the “autographed copy” of his EXCEPTIONAL book! This is a TREASURE and a great reminder of what really is important in this life! I loved reading every word and found great meaning in so many areas! John’s sincere invitation to his readers to walk side by side with him as he shares his personal journey is a gift from the Lord. In his revealed trust and relationship with his Savior, the reader is quick to discover the vulnerability and humanness of John’s heart, making it an easy and relatable read. It was through this testimony that God provided a deeper understanding of His love and grace, which has been encouraging in my own walk. The Shoe Shine Guys is a mobile Shoe Shine business which serves the downtown and metro-Detroit area. John frequents companies every two weeks to shine shoes on the spot and to pick up repairs that will be taken to the repair shop in Canton, Michigan. The Shoe Repair Shop is located in the northern parts of Canton, Michigan. It not only takes in the repairs that the Shoe Shine Guys pick up but also serves any walk-in customers who happen to stop by. If the fix is easy enough, shoes may be fixed or shined while the customer waits. Besides doing repairs, the shop sells various shoe care products, replacement laces, and Nurse Mates and Johnston & Murphy shoes which can be sized and ordered for the customers specific needs.